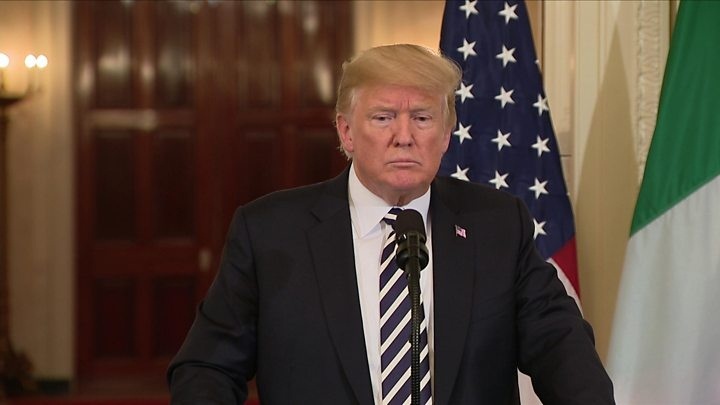 Mr. Trump said he could meet President Hassan Rouhani with "no preconditions" at "any time", after the two traded hostile threats earlier this month. Iranian state media quoted politicians as saying such talks would have "no value" and be "a humiliation". In May, the US abandoned a deal which curbed Iran's nuclear activities in return for the lifting of sanctions. The US is deeply suspicious of Iranian activity in the Middle East and is an ally of Israel and Saudi Arabia, two of Iran's foes. 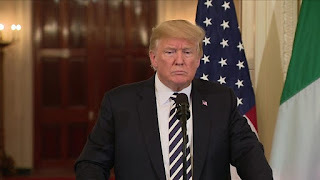 On Monday, Mr. Trump said he was happy to meet the Iranian side, adding: "I'd meet with anybody. I believe in meetings... if they want to meet, we'll meet." Such a meeting would be the first between US and Iranian leaders since before the 1979 Iranian revolution. However, Hamid Aboutalebi, an adviser to President Rouhani, tweeted in response to Mr. Trump that only "returning to the nuclear deal" and "respecting the Iranian nation's rights" would pave the way for talks. Iran's deputy speaker Ali Motahari told state news agency Irna that the US withdrawal from the nuclear deal meant that "negotiation with the Americans would be a humiliation now". Kamal Kharazi, the head of Iran's Strategic Council of Foreign, said there was "no value in Trump's proposal" given Iran's "bad experiences in negotiations with America" and "US officials' violations of their commitments". What do the US and Iran disagrees on? Why did the US withdraw from the nuclear deal? In May, Mr. Trump called the nuclear accord - or Joint Comprehensive Plan of Action (JCPOA) - a "horrible, one-sided deal". What is the nuclear accord? Has Iran's economy been better off under the deal? He alleged that the deal did not restrict Iran's "destabilizing activities" in the region enough. Analysts also cited the influence of White House hawks including US Secretary of State Mike Pompeo and National Security Adviser John Bolton, and Mr. Trump's tendency to target major policies of his predecessor Barack Obama. Iran is one of the world's largest oil producers, with exports worth billions of dollars each year. It is already feeling economic pressures, and has seen large-scale protests over rising prices and a decline in the value of its currency, the trial.